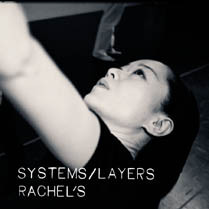 01/07/16 - Rachel's Music For Egon Schiele Turns 20! Let's Celebrate! 05/22/15 - Rachel's Debut Album 'Handwriting' Turns 20! 05/22/15 - Never-before released Ultra Hi-Def video of the song "Southbound to Marion" from the 1995 Rachel's album Handwriting. 05/04/06 - Hundreds of new photos uploaded.